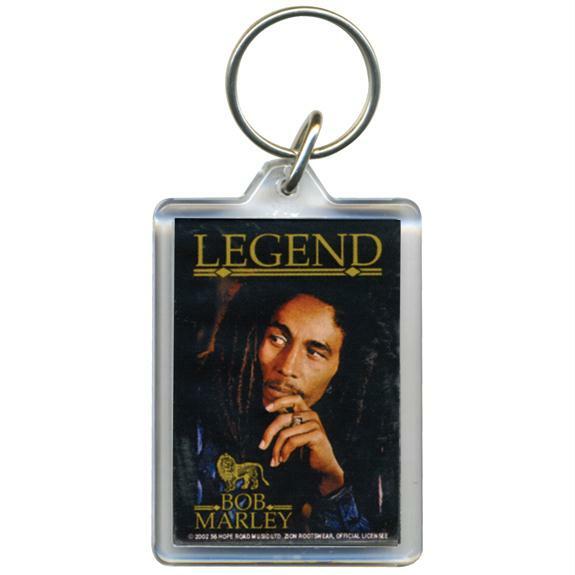 This Lucite key chain has the picture of Bob Marley from his "Legend" album. Measures approximately 1.5" x 2.5". Official Bob Marley merchandise.